Michael Drummond Wins the $5,000 Six-Handed Pot-Limit Omaha ($541,747)! Two days ago, a field of 542 entrants took to the felt in Event #42: $5,000 Six-Handed Pot-Limit Omaha. When the dust settled after nearly 29 levels, Michael Drummond was the sole survivor, besting the field for a pay day of $541,747 in his first World Series of Poker event of the summer. 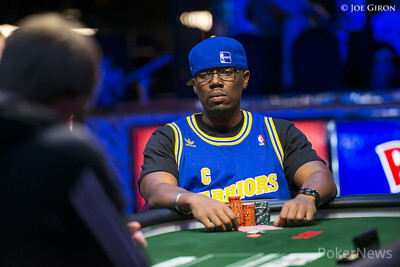 With 13 players remaining at the start of Day 3, Drummond began sixth in chips. Things did not go smoothly to start, as with 10 players left Drummond was the short stack. However, after doubling through Brandon Crawford and eliminating Joseph Leung in 10th place, Drummond's ascension up the chip counts began. Shortly after Sorel Mizzi fell in ninth place, Drummond dispatched Crawford in eighth place to set the unofficial final table, where he sat second in chips. From there, Drummond quietly chipped up, not scoring an elimination until he sent 2014 WSOP bracelet winner Kory Kilpatrick to the rail in third place. With nearly a 3:1 chip lead to begin heads-up play, Drummond needed just 12 hands to eliminate Darius Studdard, though it did take set over set to get it done. 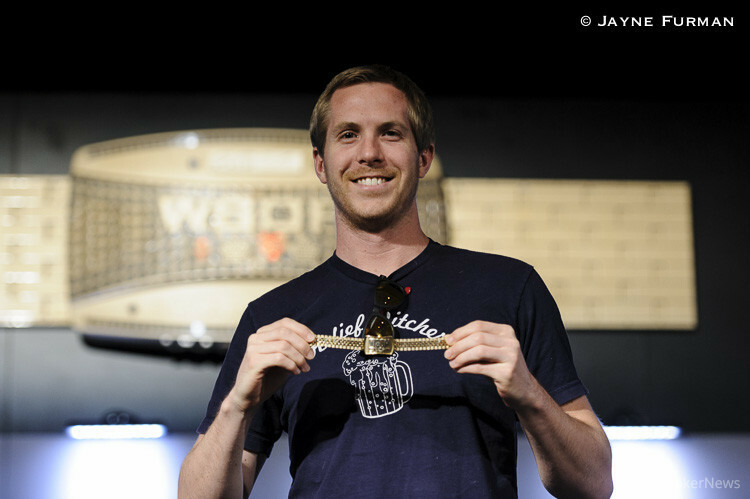 Congratulations to Michael Drummond for capturing his first WSOP gold bracelet and $541,747 in prize money. For all of your 2014 World Series of Poker news, articles, interviews and extensive live reporting coverage, stay tuned right here to Pokernews.com! Darius Studdard Eliminated in 2nd Place ($334,593); Michael Drummond Wins! Hand #115: Michael Drummond limped the button and Darius Studdard checked his option to see the dealer fan an flop. Studdard led out for 160,000 only to have Drummond cut out a raise amounting to 525,000. Studdard then picked up his beverage, took a few sips and then deliberated for a further minute before putting it back on the table. Studdard then pushed his remaining 1,485,000 into the middle. Drummond instantly called and the cards were placed on their back. In a cooler flop, both players flopped a set with the at-risk Studdard having the weaker of the two hands. The turn of the changed little apart from giving Drummond outs to a straight, and when the river landed the , Studdard was sent to the rail in 2nd place for a $334,593 payday as Drummond was crowned the Event #42 Champion! 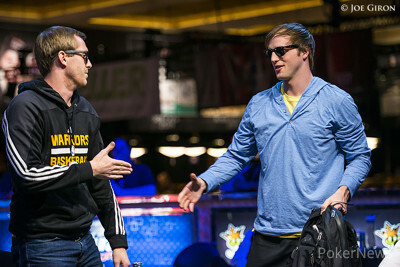 Hand #112: Michael Drummond received a walk in the big blind. Hand #113: Drummond raised to 175,000 and Darius Studdard made the call to see a flop. Both players checked as the landed on the turn and both players checked a second time as the completed the board on the river. Both players checked and Drummond tabled his to scoop the pot. Hand #114: Studdard raised to 210,000 and won the big blind. Hand #104: Darius Studdard raised to 190.000 on the button and Michael Drummond called from the big blind. The flop fell and Drummond check-folded to a bet of 255,000. 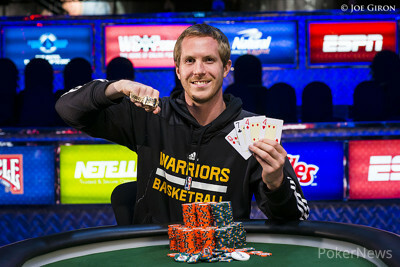 Hand #105: Michael Drummond raised to 175,000 on the button and took down the pot. Hand #106: Darius Studdard raised to 210.000 on the button and received no action. Hand #107: Michael Drummond raised to 175,000 on the button and Darius Studdard three-bet to 415,000 from the big blind. Drummond folded. Hand #108: Darius Studdard limped the button, Michael Drummond checked his option and the flop fell . Both checked, the hit the turn and Drummond took down the pot with a bet of 100,000. Hand #109: Darius Stoddard received a walk. Hand #110: Darius Studdard raised to 210.000 on the button, Michael Drummond called in the big blind and they checked to the turn of a board where Studdard bet 325,000. Drummond check-raised to 775,000, Studdard folded and Drummond picked up the pot. Hand #111: Michael Drummond called on the button, Darius Studdard checked his option and the flop came down . Studdard check-called 100,000 to see the turn which both checked. The river completed the board and Studdard bet 160,000. Drummond called but mucked when Studdard tabled for a flush. Hand #102: Darius Studdard opened the button to 190,000 and Kory Kilpatrick made the call to see a flop with Kilpatrick betting out pot of 420,000. Studdard folded and Kilpatrick was pushed the pot. Hand #103: Michael Drummond raised to 175,000 from the button before Kilpatrick made it 605,000 from the small blind and Drummond responded by moving all-in. Kilpatrick called all-in for 1,050,000 and the cards were tabled. With Kilpatrick's rail calling for an ace, their wish would be granted as the flop fell . The turn of the now gave Drummond an additional three outs to go along with his one king, and when the dealer delivered the dramatic on the river, Kilpatrick was sent to the rail in 3rd place for a $217,113 payday.